The University of Cincinnati College of Medicine is developing a pipeline of diverse physicians to better care for an increasingly diverse patient population. By recruiting medical students, residents and faculty from different backgrounds, the UC College of Medicine is changing the face of medical care in the Cincinnati area, including the Uptown neighborhoods that UC calls home. Much of this work is thanks to Mia Mallory, MD, associate dean of the Office of Diversity, Equity and Inclusion and associate professor of pediatrics at UC College of Medicine. She understands the impact that a diverse medical community can have on patients and young people who may one day grow up to be doctors. Having a diverse class impacts the medical students as well. Students learn from one another and experience different cultures by interacting with those from other backgrounds. According to Mallory, it makes them better people and better doctors. She challenges the students to get to know someone who doesn’t look like them because she knows it will be life changing and will prepare them to take care of all patients. “We're trying to build physicians who are culturally competent to take care of a variety of patients, and they can learn that first by getting to know their diverse classmates,” said Mallory. While in school at UC College of Medicine, students have a myriad of opportunities to interact with the community in Uptown and Greater Cincinnati during their free time. Many students are involved with Medical Volunteers of UC where they help take care of homeless patients, and they can volunteer to participate in community health fairs focused on caring for minority patients and the illnesses that affect minority populations. 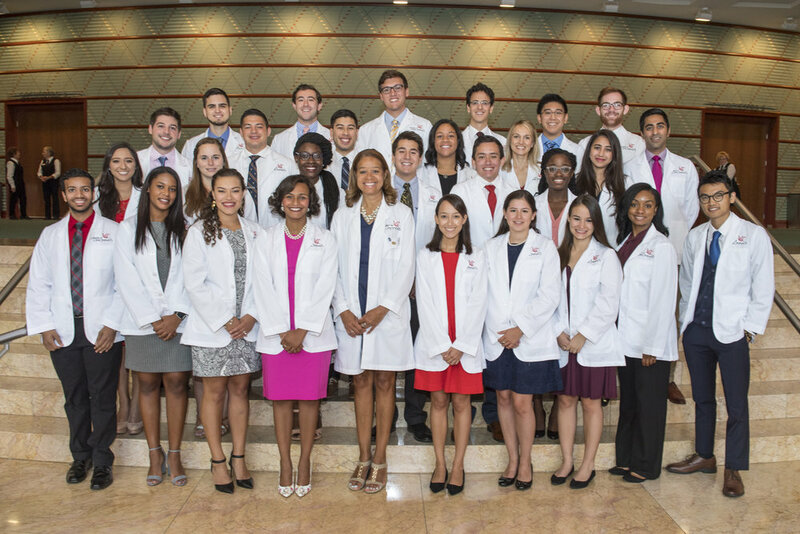 In addition, UC College of Medicine offers a course called Physician and Society that teaches students about the social determinants of health and how physicians fit into their community. The class also includes a community service project. And between their first and second year, many students participate in the Urban Health Project, which pairs medical students with nonprofit health organizations in Greater Cincinnati. The medical students’ work in the community extends beyond patient care. Many of the diverse students Mallory recruits are helping build a pipeline of medical talent within Cincinnati’s neighborhoods by visiting high schools in diverse communities and networking with students locally and nationally at conferences. Like many of the high school students Mallory and her medical students speak with, she didn’t have a mentor in the medical field that she could look to as an example. She wants to change that for Cincinnati’s diverse youth. All of these experiences help the medical students better understand different patient populations, provide stronger and more culturally competent medical care, and broaden their personal and professional horizons. “It really gives the students a vision beyond medical school to see what they can do and how they can be involved in the community and make a difference,” said Mallory. Mallory’s tireless efforts to bring more diverse students to UC College of Medicine are paying off. The first-year class of 2017 reached 20 percent minority students, the largest percentage in the college’s history, and the 2018 first-year class had the highest proportion of both women and African American men in the college’s history. Mallory is doing everything she can to keep the students in Cincinnati by connecting them to others in the community, so they complete their residencies locally and stay to care for the local patient population.